SAN FRANCISCO, Oct. 28, 2015 /PRNewswire/ — Yelp Inc. (NYSE: YELP), the company that connects consumers with great local businesses, today announced financial results for the third quarter ended September 30, 2015. Net revenue was $143.6 million in the third quarter of 2015 reflecting 40% growth over the third quarter of 2014. Adjusted EBITDA for the third quarter of 2015 was $12.5 million compared to $20.1 million in the third quarter of 2014. Cumulative reviews grew 35% year over year to approximately 90 million. App Unique Devices grew 39% year over year to approximately 20 million on a monthly average basis1. Local advertising accounts grew 37% year over year to approximately 104,2002. Net loss in the third quarter of 2015 was $(8.1) million, or $(0.11) per share, compared to a net income of $3.6 million, or $0.05 per share, in the third quarter of 2014. Non-GAAP net income, which consists of net income excluding stock-based compensation and amortization was $2.7 million, or $0.03 per share, for the third quarter of 2015. Net revenue for the nine months ended September 30, 2015 was $396.0 million, an increase of 48% compared to $267.6 million in the same period last year. Adjusted EBITDA for the nine months ended September 30, 2015 was $51.6 million compared to $45.8 million in the first nine months of 2014. Net loss for the nine months ended September 30, 2015 was $(10.7) million, or $(0.14) per share, compared to net income of $3.7 million, or $0.05 per share, in the comparable period in 2014. Non-GAAP net income for the nine months ended September 30, 2015 was $19.9 million, or $0.26 per share, compared to non-GAAP net income of $25.8 million, or $0.34 per share, in the comparable period in 2014. Local advertising revenue totaled $115.9 million, representing 36% growth compared to the third quarter of 2014. Transactions revenue totaled $12.0 million, compared to $1.3 million in the third quarter of 2014, primarily due to the acquisition of Eat24 in the first quarter of 2015. Brand advertising revenue totaled $9.0 million, representing a 4% decrease compared to the third quarter of 2014. As previously announced, Yelp plans to phase out its brand advertising product by the end of 2015 to continue its focus on the consumer experience and its native, local advertising products. Other revenue totaled $6.7 million which was flat compared to the third quarter of 2014. Mobile Traffic: Consumer adoption of the Yelp app remained strong, as App Unique Devices grew 39% year over year to 20 million. According to comScore data for September 2015, Yelp was one of the top 25 mobile web and app properties. Engagement: Consumers continued to engage with Yelp across the entire ecosystem as page views grew nearly 40% year over year. Similar to the second quarter, app users were our most engaged users and approximately 70% of page views came from the mobile app. Transactions: In the third quarter, Yelp Platform transactions increased approximately 170% year over year. Yelp launched multiple features to enhance the transaction experience on Yelp, such as the ability to order food or make reservations directly from search results, which resulted in more than a 10% lift in Yelp Platform transactions in the month following the change. 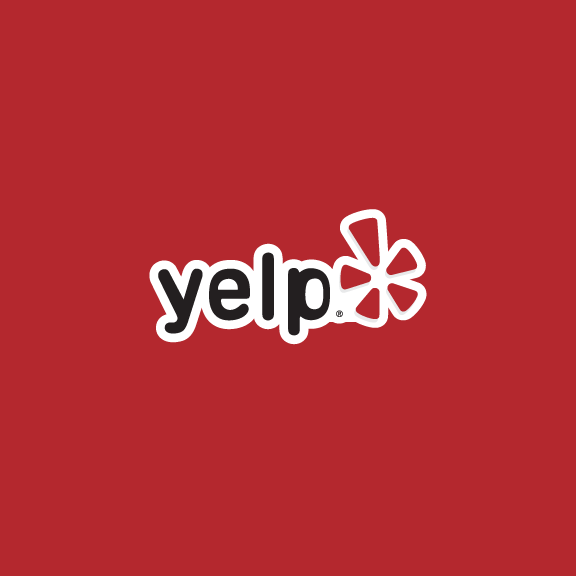 Yelp is providing its outlook for the fourth quarter and updated outlook for the full year of 2015. For the fourth quarter of 2015, net revenue is expected to be in the range of $149.5 million to $154.5 million, representing growth of approximately 38% at the midpoint compared to the fourth quarter of 2014. Adjusted EBITDA is expected to be in the range of $20 million to $24 million. Stock-based compensation is expected to be in the range of $16 million to $17 million, and depreciation and amortization is expected to be 5%-6% of revenue. For the full year of 2015, net revenue is expected to be in the range of $545.5 million to $551.5 million, representing growth of approximately 45% at the midpoint compared to full year 2014. Adjusted EBITDA is expected to be in the range of $72 million to $76 million. Stock-based compensation is expected to be in the range of $61 million to $63 million, and depreciation and amortization is expected to be 5%-6% of revenue.